Hello my name is Chris Sorensen and I'm the Adelaide Furniture Doctor. Well I'm not really a Doctor per se, but I thought it to be a fitting name for the work I do. 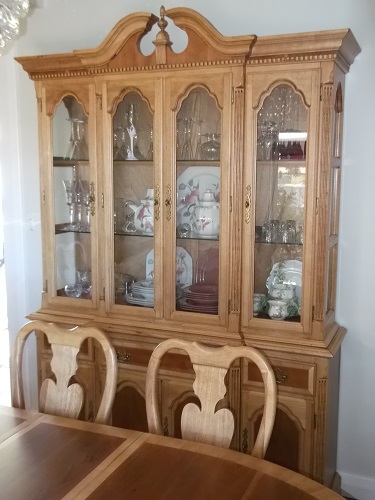 You see for more than 20 years I have been restoring all types and styles of furniture, from modern, period, colonial and antique. 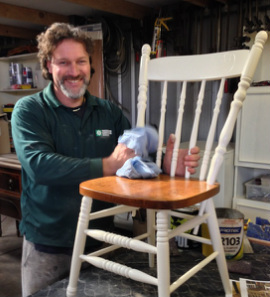 All in need of some kind of treatment, that only your local Adelaide Furniture Doctor can subscribe when it comes to repairing and rejuvenating your furniture. You may have a tired piece of second hand furniture, or perhaps a treasured family heirloom, a valuable antique, or something sentimental. If so, then allow me to examine and offer the best treatment for your furniture! Don't let your sick furniture suffer any longer. Quote on repairing or restoring your furniture. Simply complete the online Contact Form CLICK HERE. You can be confident that I will treat your furniture with the utmost of care. The Adelaide Furniture Doctor For Healthier Looking Furniture. 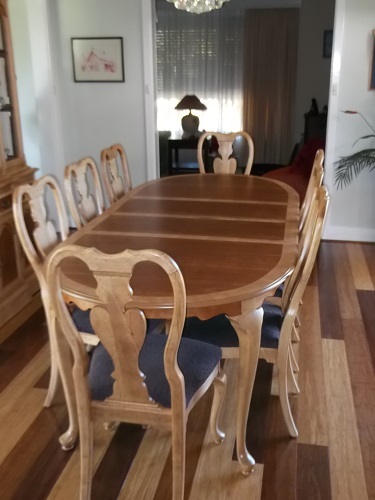 Restoring Period Furniture especially this Oval Dining Table and matching 8 Chairs with upholstered seats has its challenges, but as you can see the result is quite spectacular.